← Boules 2011 – the results! 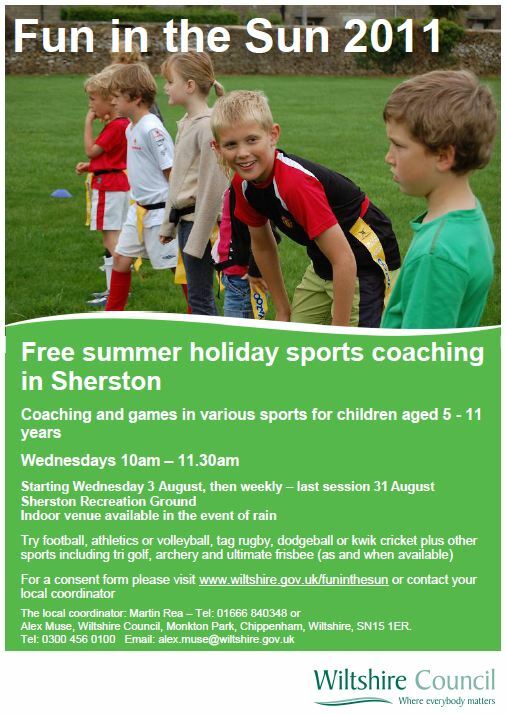 This year’s summer holiday sports coaching in Sherston for children aged 5 – 11 starts on Wednesday 3rd August from 10 am to 11.30 am at the Recreation Ground. It then continues every Wednesday at the same time throughout August with the last session being on the 31st. The parish council is supporting the scheme by not only allowing the use of the recreation ground but also by hiring the scout hut to provide toilet and changing facilities as well as indoor space should the weather prove unkind. This entry was posted in Children & Young People, Clubs & Societies, Events, Sherston Events, Sports. Bookmark the permalink.